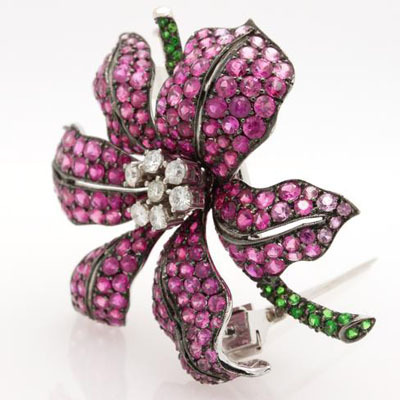 Pink Sapphire And Diamond Flower Pin - P3021 at Reliable Gold in Rhode Island Reliable Gold Ltd. 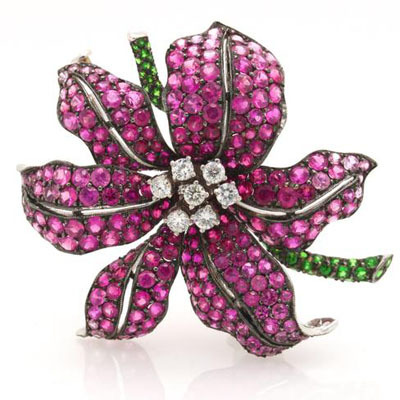 Pink sapphire, tsavorite garnet and diamond flower pin in 18k white gold. 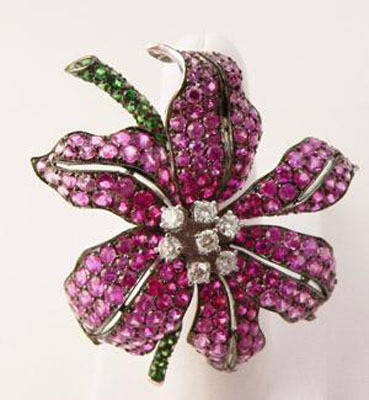 The flower petals are studded with 11.73cts of pink sapphires. 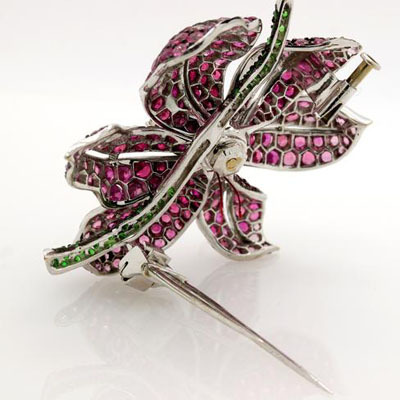 The stems have .99ct of tsavorite garnet. The diamond stamin articulates, total weight .58ct.